In a few recent posts, I have discussed (in by no means a thorough way) Eddie Gibbs’ book Churchmorph: How Megatrends Are Reshaping Christian Communities. 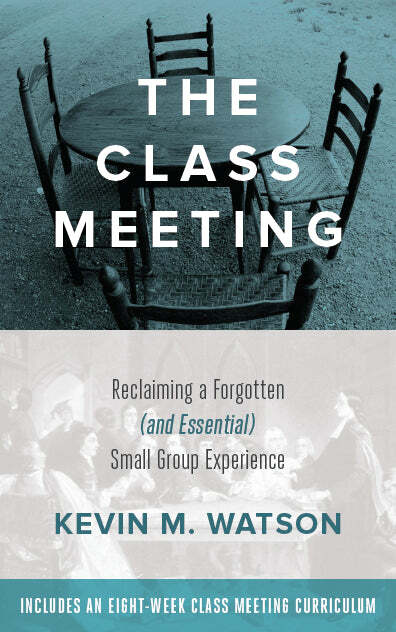 In this post, I want to mention something that was missing from this book, namely, Methodism. As I recall, Gibbs mentions Methodism once in the book. He writes: “In more modern times, the Methodists in eighteenth-century England and the Salvation Army in the nineteenth century also stepped outside the structures of the established churches, reaching out to the segments of the populations that they were failing to influence for the gospel” (150). Surely Methodism would be able to shine some light on this story? And surely the exponential growth of American Methodism during the first fifty years of the newly constituted United States of America would have something to say, not only about church leaders recognizing transitions and ministering in the midst of them. American Methodism actually provides a more astonishing example, in that for a period of time it seems to have shaped and transformed the broader culture it found itself within. And again, when I read his critique of contemporary theological education, I thought about how the apprenticeship model of early American Methodism could have served to illustrate what he was aiming for, as well as providing evidence that something like this really does work! In some ways, I think some blame can fairly be assigned to Gibbs for not being more aware of the contribution of Methodism to the broad stream of European and American Christianity. However, I think the fact that Gibbs has broadly failed to see the potential of the Wesleyan tradition for the missional/emerging church is almost entirely the fault of those who are the heirs of the Wesleyan tradition. We are not very good at getting our message out, at least not beyond the walls of our own spheres of direct influence. Last Friday night my wife and I went to Barnes and Noble. If you have been in Barnes and Noble, you can imagine the book display that is right in front of the door. You almost literally have to walk around it to get to the rest of the store. Every Barnes and Noble has one. The best way I can think of to characterize the books that are on this first (and most visible) display are that they are newly released books which are being aggressively marketed to you, the person who has just walked in the door. I will admit that I almost always look at the books on this display, out of curiosity to see what the new “it” books are. On Friday, two particular books on the display caught my eye: Brian McLaren’s A New Kind of Christianity and Beth Moore’s So Long, Insecurity. These books are both written by Christian authors. Beth Moore’s audience is a more conservative brand of evangelical Christianity and Brian McLaren’s is a more progressive/post-modern one. The point of this distinction is not to disparage either one, or to make a value judgment about either author or those who would pounce at the chance to read their books. My point is this: When was the last time you saw a book written by a Wesleyan or Methodist on the front table of a Barnes and Noble? Most likely never. The only person I can think of who may have written a book that would have been marketed enough to receive that kind of “prime real estate” is Adam Hamilton. In fact, he is the only Methodist whose books I have seen with any frequency in bookstores like Barnes and Noble. The tragedy of this is that our message is both so profound and so relevant. It may be that I am just so smitten with my own tradition and heritage that I am overestimating its worth. But (not surprisingly) I doubt it. We have been entrusted with the gospel, and there have at least been times in our history when Methodists have gotten their message out to large audiences, and it has not only engaged people outside of the church but it has led to lives being renewed and transformed. I yearn for the day when those who are heirs of the Wesleyan tradition communicate it so effectively that books like Eddie Gibbs can no longer be written without wrestling with where Methodists fit into the conversation. That Eddie Gibbs can ignore us is not his fault. It is ours. Thanks Kevin for writing this! I have thought the same over the past few years when looking for books in book stores and finding nothing but maybe Hamilton to be the voice of the Methodist and Wesleyan perspective. 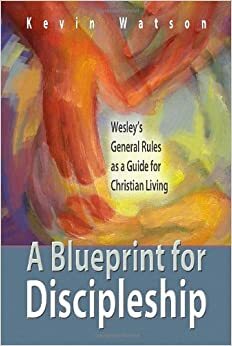 Also thanks for your combined study on Reclaiming the Wesleyan Tradition which has helped my class of young adults become more aware and knowledgeable of Wesley’s theology, which is not always taught in a UMC.